A Black-winged stilt (Himantopus himantopus) reflected in a pond in Sète, France. English : A Black-winged stilt (Himantopus himantopus) reflected in a pond in Sète, France. Sunrise on the Sea of Japan from the Khasansky District of the Primorsky Krai in Russia. The two islands visible from distance are Sibiryakov Island (right) and Antipenko Island (left). English : Sunrise on the Sea of Japan from the Khasansky District of the Primorsky Krai in Russia. The two islands visible from distance are Sibiryakov Island (right) and Antipenko Island (left). Callum Scotson of Australia, competing in the men's under-23 time trial of the 2018 UCI Road World Championships in Innsbruck. English : Callum Scotson of Australia, competing in the men's under-23 time trial of the 2018 UCI Road World Championships in Innsbruck. Interior view of the Shah Mosque, renamed to Imam Mosque, after the 1979 Iranian Revolution, located in the northern section of the Grand Bazaar in Tehran, Iran. It was built to the order of Fath-Ali Shah Qajar of Persia during the Qajar period, as one of several such symbols of legitimacy for the new dynasty. At the time of completion, the mosque was considered to be the most significant architectural monument in Tehran. English : Interior view of the Shah Mosque, renamed to Imam Mosque, after the 1979 Iranian Revolution, located in the northern section of the Grand Bazaar in Tehran, Iran. It was built to the order of Fath-Ali Shah Qajar of Persia during the Qajar period, as one of several such symbols of legitimacy for the new dynasty. At the time of completion, the mosque was considered to be the most significant architectural monument in Tehran. Rubjerg Knude Fyr is a lighthouse between Lønstrup and Løkken (municipality Hjørring) in Denmark which was bulit in 1900. From the 1910s, the wind blew large amounts of sand from the cliffs and the actual dune formed between the lighthouse and the sea. The dune moved towards northeast and now has completely passed the lighthouse. Of the outbuildings only loose bricks remained. The lighthouse itself is expected to collapse soon. The Danish nature authority is planning to dismantle the building before it is going to fall into the north sea. English : Rubjerg Knude Fyr is a lighthouse between Lønstrup and Løkken (municipality Hjørring) in Denmark which was bulit in 1900. From the 1910s, the wind blew large amounts of sand from the cliffs and the actual dune formed between the lighthouse and the sea. The dune moved towards northeast and now has completely passed the lighthouse. Of the outbuildings only loose bricks remained. The lighthouse itself is expected to collapse soon. The Danish nature authority is planning to dismantle the building before it is going to fall into the north sea. Beer bottles of different colors. From left to right: brown 0.5 l, yellow-green 0.5 l, green 0.4 l, blue 0.46 l.
English : Beer bottles of different colors. From left to right: brown 0.5 l, yellow-green 0.5 l, green 0.4 l, blue 0.46 l.
Illumination of the Wiesmann exhibition hall (Wiesmann gecko) for the final concert of the Dülmener Sommer 2018, the since 1989 first as Dülmener Sommertheater offered street theater. English : Illumination of the Wiesmann exhibition hall (Wiesmann gecko) for the final concert of the Dülmener Sommer 2018, the since 1989 first as Dülmener Sommertheater offered street theater. Kórnik Castle, Kórnik, Greater Poland Voivodeship, Poland. The castle was constructed in the 14th century but it was remodeled to its current neogothic style in 1855 by the architect Karl Friedrich Schinkel. The fortification is today owned by the Polish state and houses a museum and the Kórnik Library. English : Kórnik Castle, Kórnik, Greater Poland Voivodeship, Poland. The castle was constructed in the 14th century but it was remodeled to its current neogothic style in 1855 by the architect Karl Friedrich Schinkel. The fortification is today owned by the Polish state and houses a museum and the Kórnik Library. NASA's Galileo spacecraft acquired its highest resolution images of Jupiter's moon Io on 3 July 1999 during its closest pass to Io since orbit insertion in late 1995. 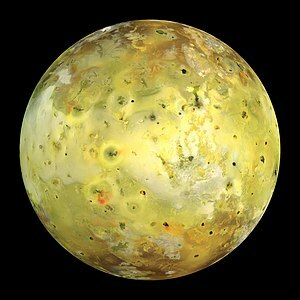 English : NASA's Galileo spacecraft acquired its highest resolution images of Jupiter's moon Io on 3 July 1999 during its closest pass to Io since orbit insertion in late 1995. Skagway Bazaar, shop in Skagway Historic District in tradicional wooden style, Alaska, United States. English : Skagway Bazaar, shop in Skagway Historic District in tradicional wooden style, Alaska, United States. Mountain hiking Vens at Bettex in Valle d'Aosta (Italy). Detail European larch (Larix decidua) with large wound to the trunk in the mist. English : Mountain hiking Vens at Bettex in Valle d'Aosta (Italy). Detail European larch (Larix decidua) with large wound to the trunk in the mist. English : Ten years ago, to commemorate the 40th anniversary of Apollo 11, NASA released partially restored video of a series of 15 memorable moments from the July 20 moonwalk. Shown here is a short clip of a partially restored video of Buzz Aldrin who follows Neil Armstrong down the lunar module ladder. View of Baku, capital of Azerbaijan. English : View of Baku, capital of Azerbaijan. Müllersches Volksbad, Munich, at dusk. The natatorium was built from 1897 to 1901 and is famous for its Baroque Revival/Jugendstil architecture. Upon completion, it was the largest and most expensive indoor swimming pool in the world. English : Müllersches Volksbad, Munich, at dusk. The natatorium was built from 1897 to 1901 and is famous for its Baroque Revival/Jugendstil architecture. Upon completion, it was the largest and most expensive indoor swimming pool in the world. Yazd Atash Behram (in English "Yazd Victorious Fire"), a Zoroastrian temple located in Yazd, Iran. It was built in 1934 and was open to non-Zoroastrian visitors in the 1960s. It is one of the nine Atash Behrams, the only one of the highest grade fire in Iran where Zoroastrians have practiced their religion since 400 BC; the other eight Atash Behrams are in India. English : Yazd Atash Behram (in English "Yazd Victorious Fire"), a Zoroastrian temple located in Yazd, Iran. It was built in 1934 and was open to non-Zoroastrian visitors in the 1960s. It is one of the nine Atash Behrams, the only one of the highest grade fire in Iran where Zoroastrians have practiced their religion since 400 BC; the other eight Atash Behrams are in India. Color image of Phobos, imaged by the Mars Reconnaissance Orbiter on 23 March 2008. English : Color image of Phobos, imaged by the Mars Reconnaissance Orbiter on 23 March 2008.